New fencers often struggle with knowing what to do in competition, and naturally so. Y8, Y10, and Y12 fencing competitors are on the whole new to all of this, new to big deal that competition is. And a fencing competition is a big deal. Remember though that these kids are still learning how to navigate life all the way round, from putting their clothes away properly to checking out a book at the library. We can’t expect them to just know how to do this in the best way. Meanwhile parents want to help, especially when their fencers are on the younger side as you are of course used to shepherding your child to learn all kinds of new things. 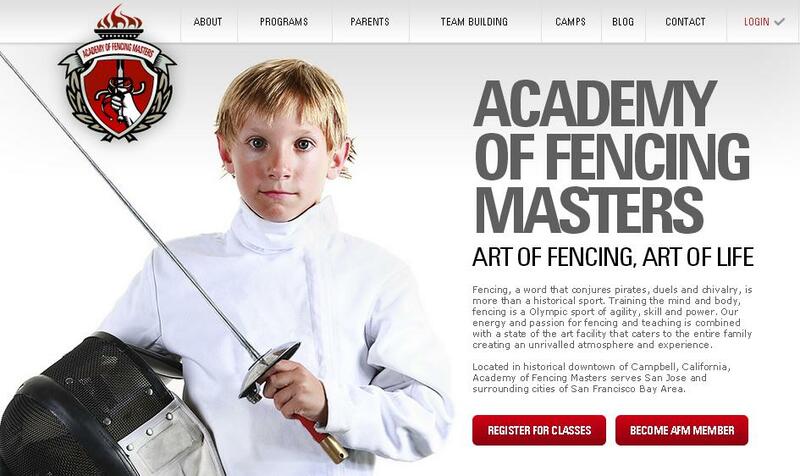 The world of fencing is often a new one for parents too though, so you might not even know how to help your child. That’s frustrating! After watching many new fencing parents in competition, I’ve noticed some of the same things again and again. You don’t have to feel lost! Here is a guide to help you know how to support your young fencer in competition so that they can do their absolute best. And the best thing – it is not in the area of fencing rules or calls! The first consideration here is that the body cord is going to get banged, bent and twisted again and again and again if the weapon is hanging on it, which eventually will lead to wires breakage. The weapon might drag along the ground where it will get stepped on either by the child or by other people. It will sling into objects like chairs, there’s tons of danger everywhere. The blade itself will also get damaged, which is going to lead to an expensive repair job. Nobody needs that! Should either of those things happen between bouts, your fencer is going to get a yellow card at the opening of the bout when their weapons or body cords aren’t working! It’s an unpleasant situation, one that’s totally avoidable by just sticking that body cord in the knickers’ pocket and putting the weapon down . The other major issue with holding onto the weapon is that it can and will get heavy. Younger fencers just don’t have the physical strength to hold a weapon for so long. When they are holding their weapon so much (remember it weighs much more to them than it would to you), their shoulders and arms get tired. That means they won’t be able to execute the precise actions they need to as well as they should in the bout. The weapon will start to drop down during fencing, and their performance will on the whole suffer significantly. It’s easy to get stuck with the cord at the end of the bout. Oftentimes younger fencers find it difficult to disconnect the weapon at the end of the bout. The clip is too strong or they are a little too weak or they are nervous or just forgot. It doesn’t really matter why they are struggling, it just matters that it’s not working and they need some help. It’s ok for you to go help them do this! Go for it! Sometimes the weapon clip is just a little too tight and needs bigger hands or the plug get gets stuck in the weapon socket. There’s absolutely nothing wrong with a parent jumping in to make this part easier for a child. With time their bodies will grow and they’ll be able to do it for themselves, but in competition it is great when parents step in to get that weapon unplugged. If the body cord attaches from behind, put it in the pocket of the fencing knickers so that it’s never hanging loose. It’s these little simple things that make the biggest impact. If you’ve been to any fencing competition at all you’ve seen a child raise their mask up without taking it off. They do it because they kind of think that it’s easy, at least easier than taking the mask off and doing the tricky bit of putting it back on. Younger fencers are often just clumsier than they will be when they are older, so the mask becomes a thing that’s challenging from simply a coordination standpoint. It’s a hard job for them to juggle connecting the reel and the weapon and also holding the mask. So from their perspective it’s better to keep the mask on. What happens though is that the mask starts to get very heavy on their heads. A fencing mask is a heavy piece of equipment! Remember also that it’s the heaviest part because it’s made of that metal mesh. When a small child, or even a medium sized child, is wearing that on their head for a long period of time, they start to get stiff neck muscles. Stiff neck muscles are a recipe for a tight fencing match and possibly a headache that you might not realize came from the mask! Shoulders are taxed too, as the whole top of the body is trying to juggle this weight and keep it on without falling off. The solution – just take it off! Have your young fencer just take off that mask. They can sit it right down with you or you can hold it if that’s what you want. So often we see fencers, especially young fencers, who don’t have their spare equipment right near where they are bouting. This leaves parents to practically run to the other side of the venue to get the stuff their little fencer needs in the case of a malfunction during a bout. This is a whole lot of stress that’s really not necessary. Take the lead here and just put that bag or spare weapons and cords right by where your child is fencing! There are these wide breaks between bouts during fencing competitions. Oftentimes fencers can have twenty or thirty minutes between their last pool bout and their first DE bout. Even smaller breaks, just five minutes, are a perfect opportunity for fencers to hydrate and to grab a little snack with a couple of bites. Bananas, granola, protein bars, energy bites, dried fruit, etc. are all fantastic competition snacks, and you’d be surprised at how much your young fencer perks up when they get a little food. The same goes for water. Always encourage your young fencer to hydrate between bouts. It can be a game changer! Keep a water bottle near at hand for that reason. Younger kids tend to burn calories at a super fast rate. They need more breaks that have a food boost and a water boost even than older fencers. We often see kids when they’ve finished their bouts just sit around in their full gear with mask and glove. They just sit there and don’t move! However when they finish that last bout they definitely need to get that gear off and give their body the chance to relax. This entails taking off the mask, putting on a dry t-shirt, removing some of that protective gear like the chest guard. If your child didn’t naturally take their mask off, then help them take it off. Put it near them. If they didn’t take their jacket then help them take it off and hang it over a chair. Sit that weapon down and give their body time to breathe! This kind of tactic allows the uniform to breathe and them the time to breathe. It’s good to give the body and the mind a real rest. The more relaxed and fresh your child is going into the next bout, the easier of a time they’re going to have with the competition going forward. They’ll also have more fun! It’s not fun to be in competition if you’re super tired or sweaty and overwhelmed. By taking the gear off you’re letting the mind and body just take a huge breather, pressing that reset button. It’s not all about the result! It’s also about the pleasure taken along the way. 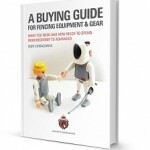 Help your young fencer with these few things! When it’s inbetween pools and DEs, take the time and help them unplug everything. Help them suit down, get off everything but the knickers. Leave that jacket open, take the mask off, unplug the cord. Give your young fencer the break that they need to take and watch how much more they enjoy the fencing competition! Put the weapon down – in the bag. If strip-side bags are banned for space constraints, then with the other backup equipment that the *fencer* (not parent) moves to the reel when called. This prevents equipment from being forgotten and later reported as “stolen”.